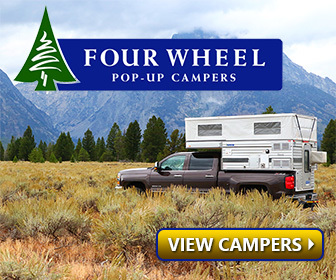 Roof top tents (RTT) seem to be increasingly popular amongst the camping community. 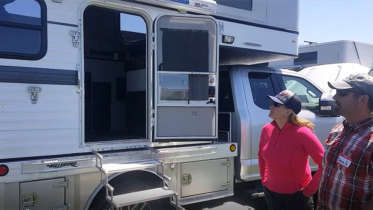 However, as many of us have experienced, a roof mounted tent might not necessarily be all that feasible for your current vehicle. If mounting an RTT is not an option for you, all may not yet be lost. There’s another take on the RTT gaining some traction, a trailer hitch tent/camper. You don’t have to pack up your tent every time you want to go somewhere. The hitch mounted tent easily detaches, so you can leave it set up at camp. Your vehicle roof may not necessarily be designed to carry an RTT or convenient. However, many hitches should be able to handle the weight load of a tent. Standard is a 2 inch hitch receiver, that can handle 300 lbs or more. Hitch tents/campers have no wheels the only attachment is your hitch. Dry weight of approx. 300lbs. Fully adjustable & removable jack legs for any vehicle height. The Hitch n’ Pitch was conceived by Pat Brown, a NASA aerospace engineer. The product is still in pre-production phases, but we look forward to seeing the final product for sale soon. 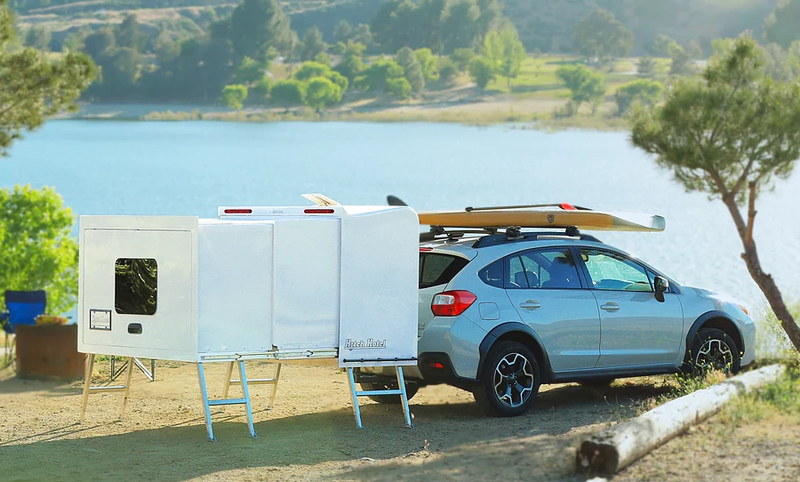 Simply put, Hitch Hotel is The World’s First Expandable, Wheel-less Trailer™. At 240 lbs dry weight, with 100+ lbs of cargo capacity (depending on your hitch class), the look of the hitch hotel reminds me of some sci-fi habitat pod you’d see left on another planet. It’s quite an ingenious design, and originally was featured as a Kickstarter project. 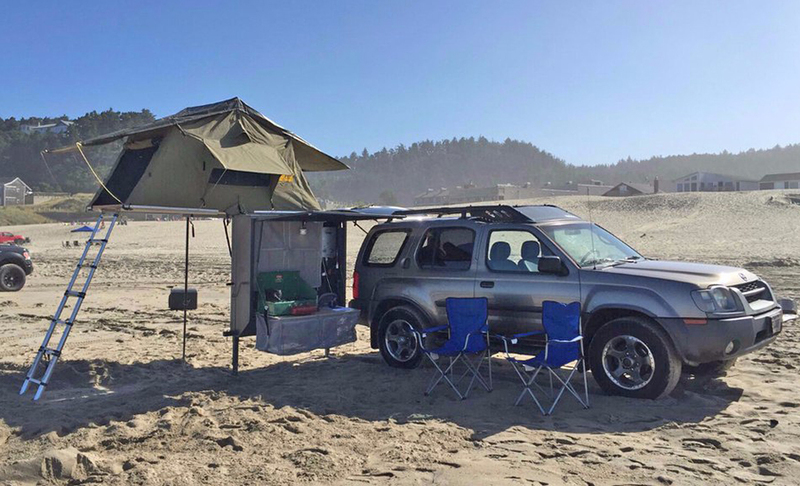 Being a relatively new niche, we look forward to seeing how this hitch camper, and hitch-mounted tents evolve in the near future. 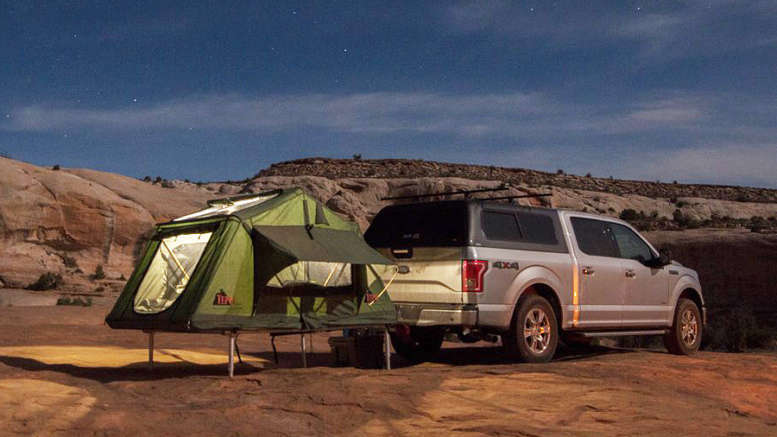 Be the first to comment on "Hitch Tents and Campers, if Your Vehicle Roof Top Isn’t Ideal"